Many people have negative associations with owls. Watch as Belinda Phetha debunks myths and misconceptions about these nocturnal birds in order to protect them. Bad luck. Illness. Death. Owls are bad omens in many cultures. Belinda Phetha grew up surrounded by these myths, being told they were dangerous. But she never really understood why they were so feared in comparison to other birds. So rather than accepting what she was told, Phetha made a bold move and began working at a bird sanctuary. She now carries owls on her arm every day, teaching people that compassion for the creatures is the only way to save them. Phetha began working at the African Bird of Prey Sanctuary in 2009, caring for the birds and maintaining their enclosures. She formed a strong bond with the owls. A fast learner, Phetha was promoted to raptor handler. Today, she’s responsible for nurturing nearly 100 birds. She hosts raptor shows and educates visitors about owls beyond the myths that surround them. “I want people to know that an owl does not bring bad prophecy,” Phetha says. “Owls are harmed because of this misunderstanding.” They are also at risk from the use of pesticides and rat poison. This is despite the fact that as natural rodent controllers, they are of vital importance to the regulation of the environment. To preserve our natural ecosystems, perceptions of owls need to change. Phetha is working towards that. “Creating a culture of understanding could be the key to owl conservation,” she says. Phetha communicates in both Zulu and English, enabling her to spread her message of conservation to a wider audience. “By translating the importance of conserving birds of prey, I think I can bring together culture and creatures,” she says. 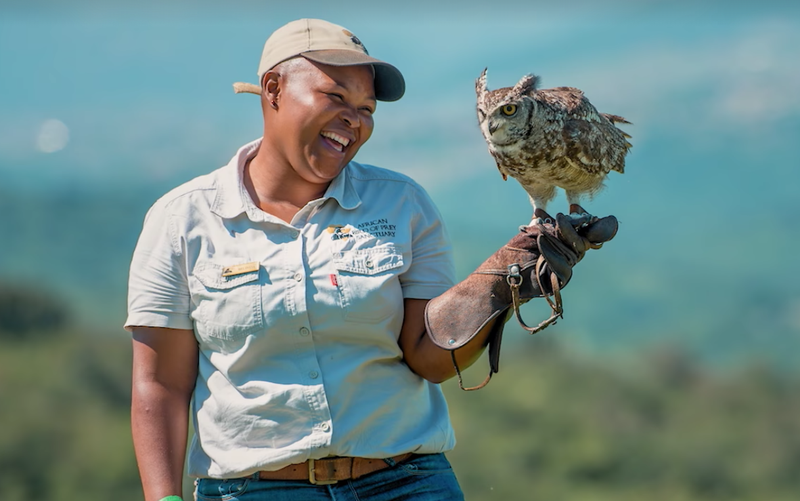 As Phetha continues to protect these misunderstood birds, she’s helping people overcome their fears. And by doing that, she’s helping not just the owls, but humans too. Something’s brewing: Could this six-pack save our marine life?